We protect the people who protect the President. Based on national averages, the number of students enrolled per high school is 752. According to the National average, a student attending a 9th-12th-grade high school will attend classes for approximately 700 – 720 days. Accounting for the entire student body over a 4-year enrollment translates to the school having to protect the equivalent of 526,400 – 541,440 students over any 4-year period. A safety & security solution costing $250,000 translates to a cost of about .45¢ per student per day. Fundamental charters for all schools are to provide a safe & secure environment and promote a sense of community where students thrive culturally & academically. Along with that commitment is our concern that we don’t get to pick when bad things happen, they pick organizations like ours to protect them with security doors, and other security solutions for schools. Without a predetermined game plan and training, many crisis situations are responded to in real time with an improvised solution, and in most cases, in a panic. The last child to die in a school fire in the US was in 1958. Municipalities achieved this level of safety through a layered approach for creating safer schools. The way schools were designed, including the material used for construction were reviewed and improved. Building codes were revised to improve emergency egress and the general safety of buildings. The materials used for construction were changed to be more fire resistant; along with fire drills and safety training for staff/students cut fire fatalities to zero. 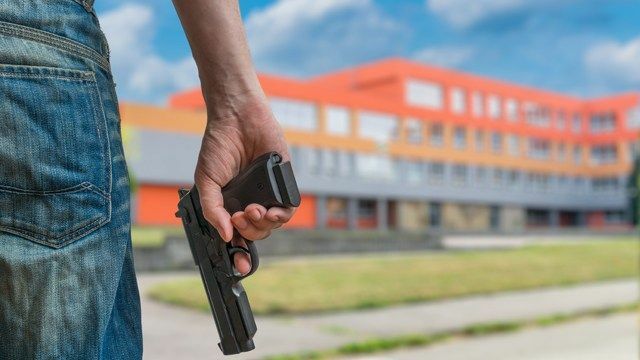 At Isotec, we believe the same zero risk tolerance objectives sought for preventing tragedies from school fires can become the new normal for preventing mass shootings in schools and overall school violence. Communities successful in achieving these goals recognize what behaviors and acts they need to prevent and the measures necessary to succeed. Schools considering layered, risk-appropriate security measures and responses, suitable for their community and resources, will have greater success than trying a solitary approach to what is perceived as a solitary problem. In turn, implementing something as simple as a security door, or other layered security measures that are not subject to single points of failure and have additional collateral safety & security benefits are vital. The different facets of a layered approach may often prevent seemingly unrelated causal factors connected to other types of negative student behavior. Security is a concept, so risk-appropriate security for a middle school may be excessive for an elementary school but insufficient for a high school. So we must first understand the nature of the threats most concerning to us and explore ways to mitigate those risks with correlative practices best known to achieve results. Some solutions may go unnoticed with others being more apparent. A community’s solution for protecting students must be layered and comprehensive. There is not one fix for all. Controlling the entrances and exits is via security doors for the school is critical, but only a part of a comprehensive plan. Protecting students requires a number of elemental practices including, but not limited to screening and situational awareness training for staff and students alike. The more thorough the screening processes the more likely schools will positively impact student safety. The axiom people respect what you inspect does apply and sends the message to all that you give a damn. Projecting to the community that a school is proactively engaged in creating a safe environment is just as important as a school’s excellent academic achievements and diverse curriculum. Call us today to discuss how a layered, comprehensive security plan and Security Doors for Schools can help increase security for .45¢ per student per day.